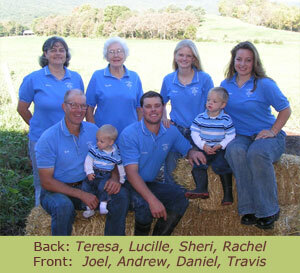 Because William and Lucille Salatin decided to moved their young family to Virginia’s Shenandoah Valley, and purchase a worn-out farm, they had the choice of how they were going to manage the farm. Because they decided to “use nature as a pattern” in their farming practices, they established a way of farming that worked for them, the land, and the animals they raised. Guillermo Seminario, leader of Chimu Inka band in Cusco, and co- facilitator for Mountain Spirit Insitute’s cultural immersion program in Peru teaches a few participants on the Peru’09 program how to play zampoña. They three had been learning from Guillermo for a few days before this footage was taken. They did well. I hope they are still playing! Hosted by the the New Hampshire Center for Non Profits and Council on Fundraising, a three-day seminar held in Plymouth New Hampshire has been covering the essentials on grant writing. Randall and Amanda Richards are attending the seminar which wraps up tomorrow. MSI plans to search for funding for the Peru/USA Music Exchange Program, Board of Directors development and training, and capacity building, that will strengthen MSI’s ability to deliver important programs. The seminar has been presented by Elizabeth Sunde. If you would like more information about this new program, which will be repeated, please check out the links above. I know relatively little about the issues that surround open pit gold mining, but my instincts tell me, aside from what I’ve read over the years, that it’s not a good thing, something similar to nuclear testing – not the best for the planet, nor the surrounding communities. There are certainly the headlines about gold mining, about toxic tailings and the havoc wreaked on local rivers and communities. I debated whether to do more research before writing this post, and decided to simply point you in the direction of two websites, and tell an anecdote of my observations in Peru over the past 12 twelve years. 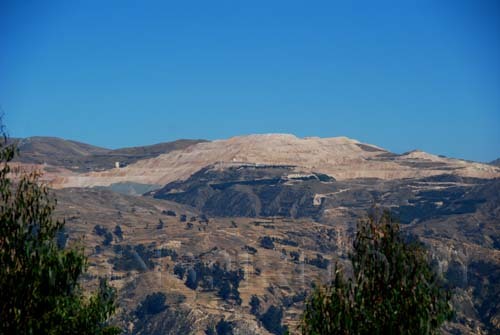 We’ve just purchased some land in Huaraz Peru, and within 10 or 15 miles, line of sight, to the north is the Canadian company Barrick Gold open pit gold mining operation. It just looks wrong. A whole mountain on the Corillera Negra side of the Cayllon de Huaylas (Huaylas Valley), has been transformed into a mammoth sand pit/mound. Aside from the blight it produces, all natural grasslands and campasino’s (country farmers), pastures/farms have been eradicated. I hear consistently that the Japanese are, or are about to run mines in the Cordillera Huayhuash, (scene of Joe Simpson’s Touching the Void). On the east side of the valley, sits Barrick’s planned employee community. 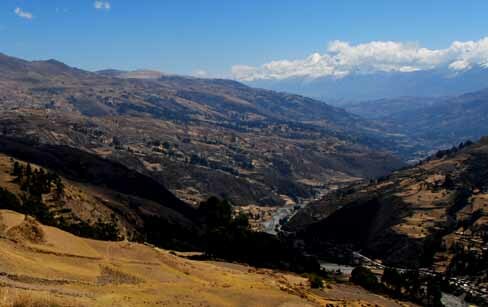 It’s relatively well hidden from the center of Huaraz, over a hill with newly planted pines. But the whole thing seems abusive, elitist, and completely out of place, in a country where there are stark differences between classes of the “haves and have nots”. 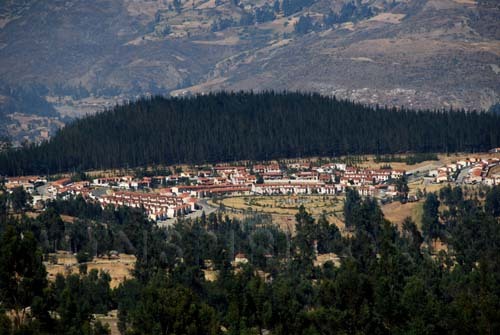 This “suburb looking for a city”, looks like something outside of Toronto, or a development near Montreal, rather than a village in the Andes. Then, there’s the taking of Peru’s natural resources, for the price paid from the highest bidder. If that’s what the goverments mean by “free trade”, they can have it. (As you may know, Peru and the U.S. have a “free trade” agreement as of a few years ago.) For more information on third world exploitation, be sure to read John Perkins‘ Confessions of an Economic Hit Man, or see his website, which also has a good bit on Free Trade with Columbia, which might shed some light on free trade agreements. More on John Perkins in another entry. As promised, here is the link for Barrick Mines and, one for Mining Watch Canada, with an interesting page entitled, Transnational Mining Tribunal: The Case of Barrick Gold Corporation in Latin America (Chile, Argentina and Peru). Barrick has multiple pages on “Environmental Responsibility, Biodiversity, Rock and waste management”, etc etc.. However, are we being hoodwinked? For those up to speed on these issues, forgive my lack of knowledge on the subject, but take my observations at face value, especially if you’ve not been to Peru. If you agree with my take, please forward this blog to friends, and get the word out about the abuse in Peru and other Latin American countries, its people and resources. and processing coal essential to providing good jobs, or is it destroying the land, water and air? What does this mean for the rest of America and the world? Passions are running high in the mountains of Appalachia. Families and communities are deeply split over what is being done to their land. 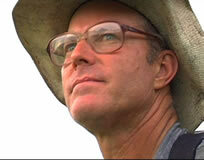 At issue is the latest form of strip mining called ‘mountaintop removal’, or MTR. Coal companies blast the tops off mountains, and run the debris into valleys and streams. Then they mine the exposed seams of coal and transport it to processing plants. Coal is mined more cheaply than ever, and America needs coal. But the air and water are filled with chemicals, and an ancient mountain range is disappearing forever.